We put the “art” in party for this event. 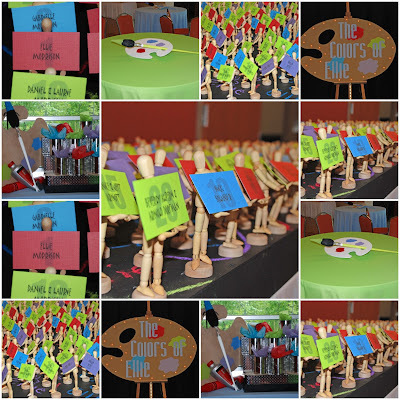 Centerpieces were giant paint tubes, brushes and palettes. Placecards were mini artist mannequins on a chalkboard table. This entry was posted in art party, Art Theme Bat Mitzvah, Painting Party on September 22, 2008 by Setting the Mood.